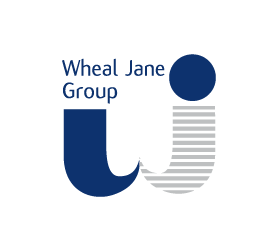 Wheal Jane Ltd is the holding company and the hub of the Wheal Jane Group. The business is focused on the 170 acre Wheal Jane site, also known as the Wheal Jane Earth Science Park. Its main activity is management of the Clemows Valley Tailings Dam, a 114 acre raised mine waste containment facility originally formed using the waste tailings generated by the former tin mining operation. With mining now ceased, we are working with the LPA and the Environment Agency on the restoration and maintenance of this important pollution prevention facility. This is done by recovering materials such as soils, sub soils, stone and concrete from construction developments throughout Cornwall for use on the restoration project. We can also extract the stone content from these materials to create recycled aggregates and soils which can then be backloaded for reuse at other developments. The Wheal Jane Earth Science Park is home to all the Wheal Jane Group companies. Wheal Jane Ltd manages every aspect of the site’s operation and development, including, but not limited to, providing services to the mine water treatment plant operated by Veolia Ltd on behalf of the Coal Authority. It also manages the storage of residue from the on-site water treatment plant. The Company ensures that all operations and activities at Wheal Jane meet European and UK legislation, and that it fulfils the Planning Conditions applied by Cornwall Council. 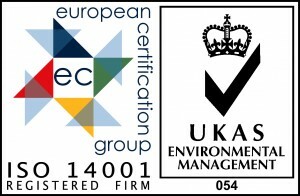 The Company was the first in the UK to fully comply with new EU legislation controlling post-mining facilities such as Wheal Jane. Managing the site also involves providing services to the growing community of Earth Science businesses operating on the site as part of the Wheal Jane Masterplan. These include electrical, mechanical, maintenance, landscaping and construction. The Wheal Jane Masterplan is an innovative post-mining project which is progressively remediating the site whilst developing the former headworks area into a specialist business cluster. A number of renewable energy projects at varying stages of evaluation and development are progressively contributing to the sustainability of the site. In time, the site and the Earth Science Park could be powered and heated entirely from on-site renewable sources.